The Pope visited Mehmet Ali Ağca in prison and forgave him. Apparently, they eventually developed a friendly relationship. On the Pope’s encouragement, the Italian President Carlo Azeglio Ciampi pardoned Ağca in 2000. Turkish citizen Mehmet Ali Agca shot Pope Saint John Paul II on St. Peter’s Square in the Vatican City on 13 May 1981. He fired several shots from a 9-millimeter Browning Hi-Power pistol, four of which hit the Pope. Two of them lodged in his lower intestine, one in his left arm, and the last in his right arm. Agca was immediately arrested on the scene. 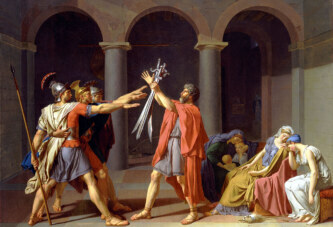 He was sentenced to life imprisonment in Italy. 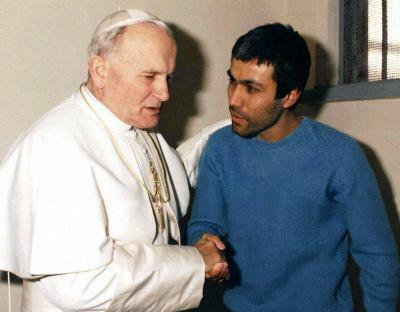 The Pope visited Mehmet Ali Ağca in prison and forgave him. Apparently, they eventually developed a friendly relationship. The Pope was even in contact with Ağca’s family, and met with his mother and brother. When the Pope was ill, Ağca sent him a letter wishing him recovery. On the Pope’s encouragement, the Italian President Carlo Azeglio Ciampi pardoned Ağca in 2000, who was sent from Italy to Turkey. In Turkey, however, Mehmet Ali Ağca was again imprisoned because of a previous murder of a journalist (that he committed two years before the assassination of the Pope). On this day in 2010, he was released from Turkish prison, having spent, in total in Italy and Turkey, 29 years behind bars. In 2007 he converted from Islam to Christianity. 1778: Why did James Cook Name Hawaii the “Sandwich Islands”?